In relation to central government, I’d identify current barriers as 1. the current gap between educational policy and the social, political and economic impact of technologies, and 2. within the schools sector, a seeming reluctance to engage with or countenance these changes as mainstream, and 3. an apparent reticence to recognise the curriculum wide relevance of the use of technology to support learners and be used by learners – the current focus being on students learning about technology, which confines discussions relating to staff development needs and practice to computing. The common theme here is that at the level of policy relating to schools, the use of technology for education is being perceived as a separate, specialist area, rather than an effective and integral range of approaches and tools to support learners and learning communities. This isn’t, of course, to say that there is any shortage of schools and school staff making effective and creative use of innovative approaches that are supported, or made possible, by the use of technologies. If you believe, as I do, that school staff are best placed to effectively develop practices that make best use of technologies, the job of those supporting their work should be to ensure they have the ability to do so. While many schools and school staff are confident and well equipped in terms of continuing development, the picture isn’t consistent. Recent DigiLit Leicester research (from 2013, and the soon to be released 2014 findings) indicate that while the majority of secondary school staff are highly confident in their use of technology, over 20% of staff working with learners are not confident about employing technologies to support key areas of practice. Staff confidence is critical to the ongoing use, development and adoption of technologies. The public consultation on the three strands, Connected Institutions, Data and Infrastructure, and Understanding and Accrediting Learning, and an additional Wild Card cluster, is open until 23 June - comments, proposals, suggestions or observations have been invited from anywhere in the world, by reply form, by email or Twitter (#etag), or for the Data and Infrastructure strand, via this Google doc. The Action Group will spend the summer developing recommendations in relation to the consultation for short-term and long-term actions, which will be presented to ministers for consideration. The call has expressed a preference for ‘short and terse’ responses, which the Action Group will review, and fashion into tempting recommendations. I’m focusing my bullet recommendations here on the use of technology within the schools sector, both ‘technology to support learning’ and ‘technology to support the running of the organisation’, since without accounting for infrastructure, connectivity and systems, we can’t really expect mainstream development of technologies to support learning and communities. My recommendations here are for areas that need to be addressed at national level, rather than left to luck, so should be supported through central government policy or activity, or partnership/endorsement. Cluster 2 Data and Infrastructure – Led by Bob Harrison and Maren Deepwell. ‘Big’ seems like an unnecessary descriptor/constraint in relation to ‘student’s own’ data. In terms of country wide data collection and management, we need to learn lessons from the recent outcry surrounding the NHS England Cara.data, and parallel protests against student data mining and access in the US – particularly in terms of ensuring clarity about data use or potential data use, and engaging with communities about the collection and use of their data at all stages. The text from the website suggests that learners will be incentivised by access to data relating to their achievement in relation to others data: “They will understand their own data, be able to act on it directly, have a sense of "where I am" relative to others now, to preceding learners, to international competitors, to the younger learners behind them, and so on.” This seems to be predicated on a future where all learners are motivated by high level ranked progression and achievement data, which is a highly problematic assumption. It also seems to eschew the validity of an educational experience of children and young people not in a position to make use of this data to improve their outcomes, for example, some children and young people with learning disabilities. Support Digital Citizenship education: Ensure UK citizens, particularly young people, have access to information relating to data collection, use, access, permissions and privacy. If we are interested in enabling people to make decisions and take responsibility for their own lives and communities, and if we acknowledge that digital tools and environments play a critical role in how our lives are lived, in how communities engagement takes place, in legal and political processes, then we need to support citizenship education which embeds digital citizenship issues. We have significant, pressing problems now around rights and laws relating to privacy, identity, reputation, surveillance, consent and ownership in digital environments. Also supports strand 3a and 3b. Digital literacy education relating to online presence for 14-16 year olds: Ongoing barriers to data portability between and across institutions, and relating to activities which take place outside of formal education, mean that equipping learners to collect and curate their own achievements. Rather than wasting money and time on central platforms, government should focus on ensuring all young people (particularly those aged over 14) have access to skills and advice about managing their online presence and identity, and making use of public and private digital spaces to manage information and data relating to their own achievements. Also supports Strand 1a, 1b, 1c and 3c. Increase opportunities for young people to engage with data: Enabling young people to make use of data is one way of supporting a broader digital citizenship agenda – and we are fortunate to have examples of great work in this area – for example, civic hacks events and approaches like Apps for Good, Code the City, Social Innovation Camp, Young Rewired State. How can we extend and make ‘data for good’ opportunities accessible to more young people? Also supports strand 3a and 3b. Support school staff development and innovation relating to assessment and feedback: The DigiLit Leicester research indicates there are high levels of secondary school staff confidence across a wide range of approaches to using technology for assessment and feedback, including self and peer evaluation for learners. Investment should be made in surfacing and sharing the range of existing effective approaches, and in the development of new approaches, and supporting school staff, leaders and governors in data collection and use methods and approaches. It’s important that we don’t limit work in this area by only focusing on quantitative data and summative assessment. Also supports strand 3a and 3b. Invest in validation outside of traditional routes: validation for a range of skills and achievements, as well as more nuanced validation within existing qualification, is a potentially high impact area for development. Open badges represent an important approach to this – however, just focusing on employers concerns and needs in relation to the usefulness of open accreditation models risks missing important benefits, particularly in relation to young people – badges don’t just demonstrate achievement, they also positively reinforce achievements and can support young people in articulating their abilities. Also supports strand 3a and 3b. Investment and development in Green ICT initiatives at school level: As well as the cost to the environment, energy costs account for a substantial portion of school budgets. Further work in this area should address how school communities access and understand building data, how data can be used to support the curriculum, and how schools can be supported in reducing energy costs. Also supports Strand 1b. Notes from my groups discussion, which included Allison Littlejohn, Susan Easton, and Ewa Luger, and focused on the question How can learners make choices in relation to the use of their data? How can learners understand the implications of the use of their personal data? were captured by Allison and added to the Strand 2 consultation Google doc. The 2b strand discussion of the Data and Infrastructure cluster focused on the safe and effective use of learner owned technologies inside and outside of the classroom, particularly in relation to Bring Your Own Device (BYOD) approaches. I won’t go into drivers and benefits of BYOD, the various approaches schools are taking, or the key implementation areas (community engagement, staff development, financing models, digital divide issues, acceptable use policies, network security, infrastructure, device management). Support a national network of school Student Digital Leaders: School student digital champion programmes are an extremely important route. These initiatives represent a creative and effective approach to supporting learners who are enthusiastic about technologies in playing an active role in school ICT development and use, give responsibility to learners and are a non-confrontational method of embedding enhanced technology use across the whole school. They can play a critical role in BYOD implementation, and support the cultural change this approach represents. Student Digital Leader approaches should be supported nationally, either as stand alone student initiatives and/or as an integral function of student councils. Support staff Digital Literacy: Staff development is critically linked to the successful implementation and sustainability of any BYOD approach, to the productive adoption of learner owned technologies, and to the development of technology use to support learners in general. Extrapolating from the DigiLit Leicester research (which collected self evaluation data from 942 secondary and SEN school staff), around 20% of secondary school staff are not confident in making basic use of technologies to support key areas of their practice. 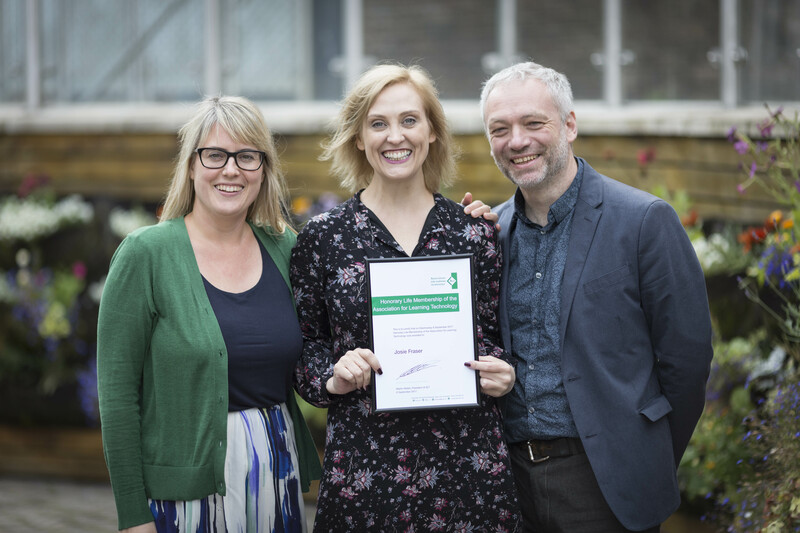 The approach we have taken in Leicester – situating digital literacy in professional practice, providing some central support and and providing opportunities and encouragement for staff directed development, has been effective in increasing secondary school staff confidence. Also supports Strand 1a, 1b and 3c. Promote and support Open Education approaches and policy: the use, creation and sharing of Open Education Resources is a key way in which finite resources can be made the most of, knowledge and resources shared, educators connected. The European Commission is investing significantly in this area. Scotland and Wales are both supporting Open Education initiatives at country-wide level. 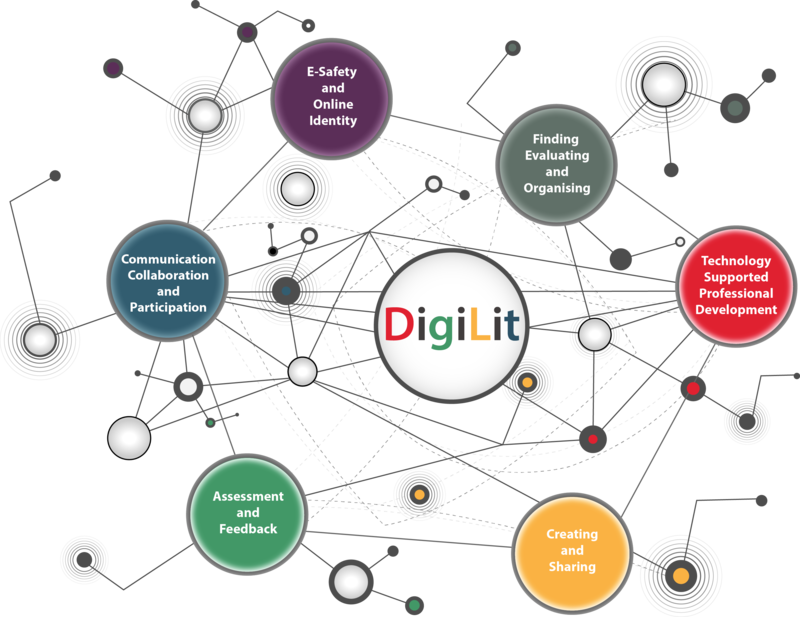 In England, we have some great examples of regional initiatives supporting Open Education, including the North-West OER Network and the DigiLit Leicester project. Central government has been active in terms of Open Data and Open Government, but has yet to show the same level of appreciation or support for the benefits of Open Education. Also supports Strand 1a, 1c and 3c. Ring fence dedicated ICT funding within school buildings budgets: Funding and criteria for school building works needs to support rather than stymie school use of technologies, particularly in relation to passive infrastructure, WAN relocation costs, server design, power and data, wifi and ventilation design. This recommendation also supports Strand 1a and 1b. Provide e-safety and cyberbullying advice and guidance to schools: Increasingly schools are making use of social technologies, for learning and teaching, as well as for communications. Schools also have a duty of care towards their learners and staff in terms of cyberbulling and e-safety issues. Inspection requirements relating to e-safety are not currently matched by the provision of official, or officially endorsed, advice and support in these areas. Schools who are not confident in relation to understanding and managing issues are unlikely to make use of the positive opportunities afforded by social technologies. As a minimum, central government should issue guidance on addressing cyberbullying (focusing on both learners and school employees), and on using social media for community engagement. Guidance delivered by Childnet International on behalf of central government was issued in 2007 (guidance for schools relating to learners) and in 2009 (guidance for school employees), but has not been updated. This recommendation also supports Strand 1a, 1b and 3c. Ensure the long term viability of e-safety and cyberbullying advice services: The UK Safer Internet Center currently provides an important and critical service to schools and school staff with it’s Helpline service, which is part funded by the European Commission. This recommendation also supports Strand 1a, 1b and 3c. I’d suggest that within institutions, the issue is frequently about a lack of good collaboration and communications internally, let alone with neighbours. Focusing on schools – schools and individual staff members are increasingly aware of the wider agenda around ‘connected learning’ and the benefits of being connected educators. School have for a very long time made use of video conferencing and blogging to connect their classrooms, and the use of social media, and in particular social networking sites, to support educators engagement in professional networks and continuing professional development continues to increase. In terms of professional school communications, school now routinely make use of text messaging and email to communicate with parents. Use of social media and networking channels to provide information to parents and promote the work of the school (as opposed to individual staff members) is increasing. Invest in Technology Supported Professional Development skills and approaches, focusing on introductory level activities and resources: The Office of Educational Technology at the U.S. Department of Education runs the Connected Educators initiative to “help educators thrive in a connected world.” The DigiLit Leicester project has similar aspirations, and focuses on supporting staff not only to use technology in their practice, but to connect to and share their practice with other educators. Our research indicates a wealth of confidence and practice, but also a significant minority of staff that do not currently make use of the opportunities for self-directed professional development. Also supports Strand 3c. Provide educational technology training for school inspectors and governing bodies: Support school inspectors and empower governors to understand how technology can support learning, teaching and community development (by which I mean, the use of technology which includes learning, teaching and communications, but also extends to engagement, consultation, learner voice and governance). Equip inspectors and governors to be able to identify effective and transformative uses of technologies, as opposed to uses of technology to substitute functions and activities. Coordinated support for use of technology across the curriculum for subject associations: support for subject specialist boards to ensure their members have access to information, research and activity relating to uses of technology. Prioritise inclusivity and access to technology education: actively address inclusivity and promote diversity in relation to technology related activities and careers, in relation to gender, race, socio-economic status, disability (and outside of the compulsory education sector, age). There are some great organisations already working in this space – for example the UK Online Centres, and CAS Include. I’ve been working with Leicester City Council’s HR Department, in consultation with secondary schools, to create a new school post – Educational Technologist. The career grade post – with three grades defined – will be of particular interest to schools who make use of ICT Managed Service provision, although schools who provide their ICT Service in-house may be interested in how the new post sits within existing or planned provision. To provide support to the school/college in identifying and implementing the use of technologies which enhance learner outcomes and experience, and that improve administrative functions. To ensure the effective use of technology for educational, community and business purposes and to share good practice, ensuring continuous improvement in the use, management and support of technology for staff and learners. To ensure the efficient and effective administration and management of accounts, systems and processes as appropriate. To ensure staff queries and requests for help are responded to and resolved quickly and that issues are correctly addressed. To ensure the development and technical maintenance of the schools online presence, resources and activity. To ensure the effective management and support of ICT equipment and facilities, including routine maintenance of computers and peripheral equipment takes place as appropriate. To keep up to date with new developments in technology, especially those relating to education and the school’s/college curriculum. To promote the use of new and existing technology, the devices, software, services and platforms that support the schools work and curriculum. To ensure that adequate arrangements exist for the security of data, systems and hardware. To implement and promote Leicester City Council’s and the school/college’s policies and procedures relating to all areas of employment and service delivery.